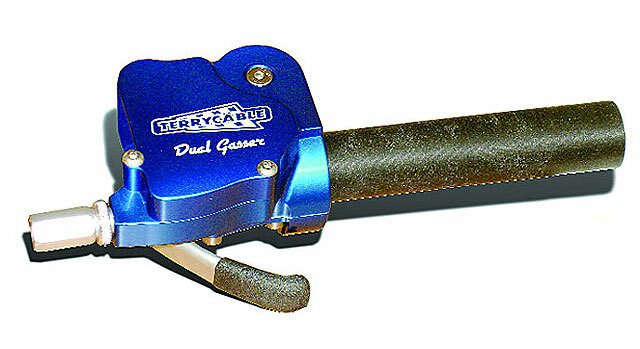 There are two distinct camps when it comes to operating an ATV’s throttle. 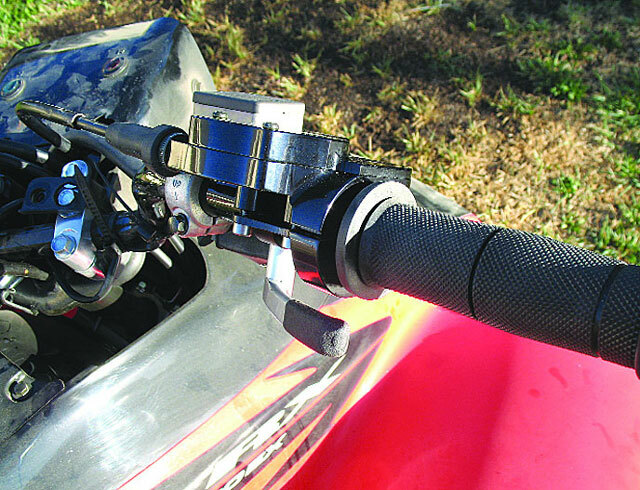 The traditional thumb throttle jockeys are happier using the regulation thumb throttles that come on all standard issue ATVs. But there is also a camp that prefers the action and control of a motorcycle-type twist throttle. Instead of having to use only their thumb, twist throttle jockeys have the use of their entire hand to twist the throttle on and off. Let’s suppose, instead of having to pick one or the other, that you could use either option, whenever it suited you? Available in color: BLACK, RED, BLUE, or ALU SILVER .